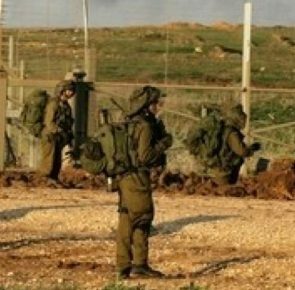 Israeli soldiers abducted, Friday, a young Palestinian man reportedly after he crossed the perimeter fence, in the eastern part of the besieged Gaza Strip. It added that the soldiers headed to the area, before he surrendered without any resistance, and was taken for interrogation. Furthermore, the army claimed that the Palestinian is a member of Hamas, an issue that was not confirmed by the movement. Sources in Gaza said the young men was apparently participating in the Great Return March processions in the Gaza Strip, when he crossed the fence and was abducted by the soldiers. It is worth mentioning that the army attacked hundreds of Palestinians, participating in the Great Return March procession, for the 43rd consecutive Friday, wounding 119 civilians, including 30 children,5 women, 5 paramedics and 2 journalists, the Palestinian Center for Human Rights (PCHR) has confirmed.